Work with you towards success. 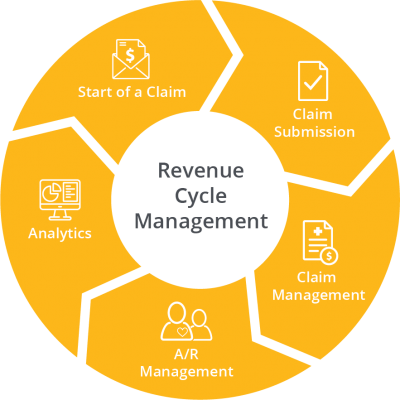 Our revenue cycle management service insures compliance with coding requirements and reduces the cost and time to successfully complete the billing cycle. SecureAR combines our industry leading practice management system with an expert coding and payment accuracy team to lower your cost of collections. 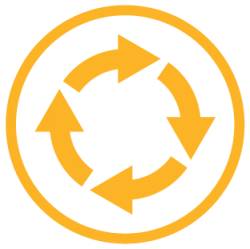 Inmediata uses advanced analytics to drive quality and productivity into the revenue cycle process. This insures that claims are accurate, coded quickly, and that payment denials are repaired timely. Inmediata combines expert coding with enabling technology and analytics to achieve the fastest possible claim submission times. Whether we’re coding fee-for-service or encounters for a capitated visit, we work with our customers to reduce waist and rework in the revenue cycle process. We insure coding compliance through supporting clinical documentation, a process that creates integrity in the claim submission process. Our best in class claim rules engine is leveraged to find errors before the claim is submitted. This insures the highest possible first pass payment rate. Automated payment posting insures balances for clean claims are closed quickly and follow up efforts are focused on denied claims. Inmediata leverages business intelligence to identify the best solution for a defect that will result in payment. This combination of automation, business intelligence, and effective work force management insures that denials are worked timely, efficiently, and outstanding balances are closed. Inmediata makes a service level commitment for each step in the revenue cycle and we continuously measure performance against that commitment to insure our customers have maximum visibility into their revenue cycle. We believe you should always know the status of every claim and what is being done to close the balance. Accounts Receivable Days is the gold standard in any revenue cycle management service and we strive to achieve the lowest possible AR Days. Whether its submission lag, first pass payment rate, payment posting lag, denial follow up success, or overall collection rate, we show you exactly how we’re performing at every step of the way. We understand the importance of earning your trust before we begin servicing your revenue cycle. This starts with an assessment of your practice to insure we are successful together. Inmediata has developed a proven method for optimizing revenue cycle and this must be matched against your current practices. Our experienced implementation team will identify any gaps in knowledge, technology, or work flow and we will work with you to remove these prior to implementation. This will include an analysis of clinical documentation to insure we can meet our coding quality standards.